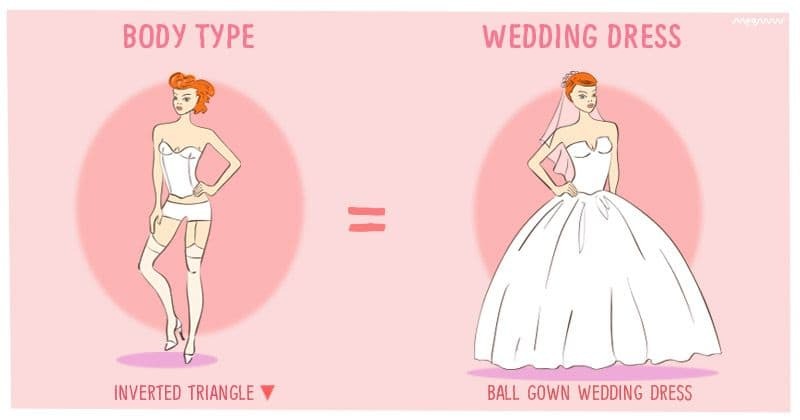 Which wedding dress would fit your body type the best? Weddings are special and a lot of women do lose their sleep over deciding which dress to wear. It is, of course, one of the most important decisions when it comes to that special day and it is crucial that you find the perfect one to make your day as beautiful as you yourself are. So, we have the perfect guide for you to get started and you can find your exact fit based on your body type. But first, you need to identify your body type from the chart below. 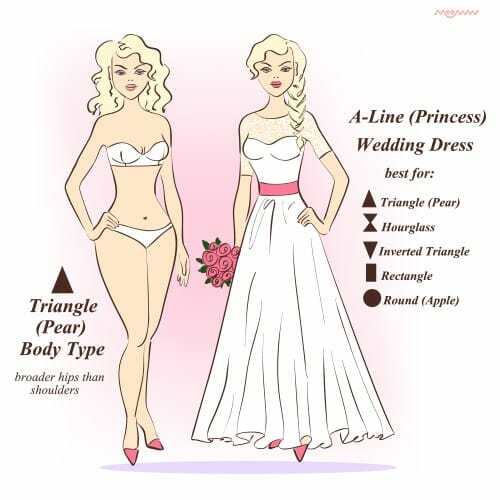 The triangle or pear-shaped body is defined by a broader waistline when compared to the bustline. You have this body shape your hips would be broader than your shoulders. The princess wedding dress or the A-line wedding dress is perfect for your body shape as the long gown spreads gracefully outwards from your waist adding elegance to your looks. 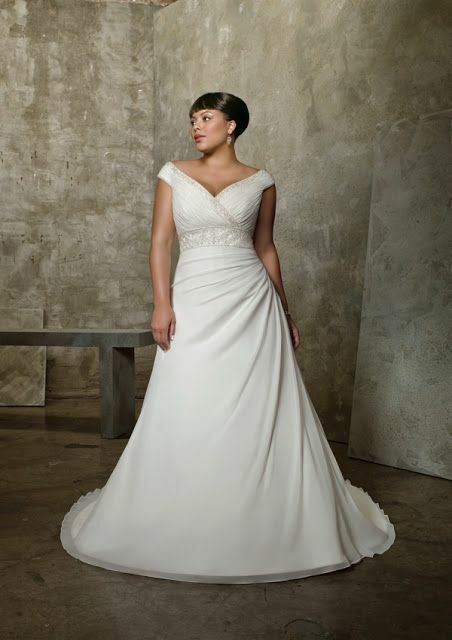 The hourglass shape is defined by equally proportioned waistline and the bustline. 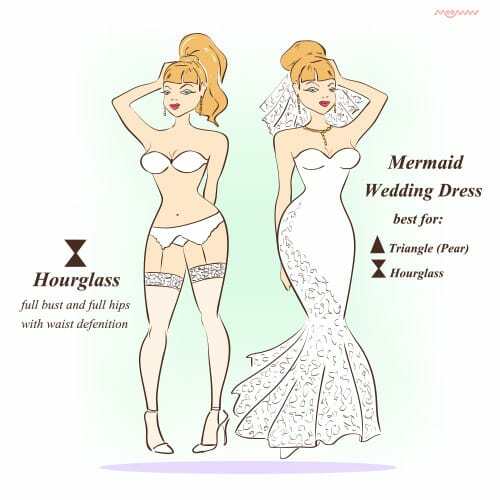 If you have a full bust and full hips as well as a well-defined waistline then you have an hourglass-shaped body and the mermaid wedding dress would be ideal for you. The mermaid wedding dress fits snugly over your breasts and your well-defined waistline would accentuate your beauty as the dress tapers slightly from your waist. 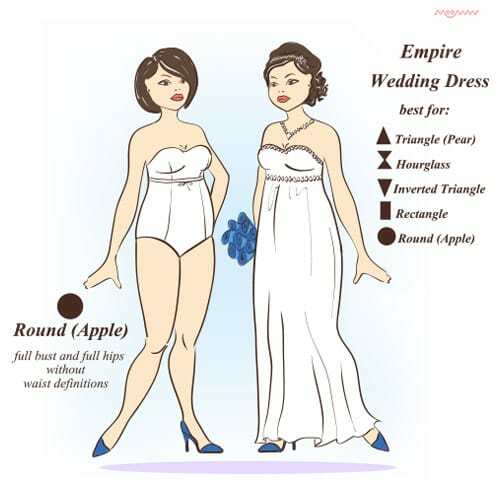 The round or apple body shape is defined by a curvaceous figure. If you have a full bust and full hips but you do not have a waist which is well-defined then you have the round body-shape. If this is your body shape then the empire wedding dress is ideal for your body as it flows gracefully over your waist and down while keeping the focus on your bustline. 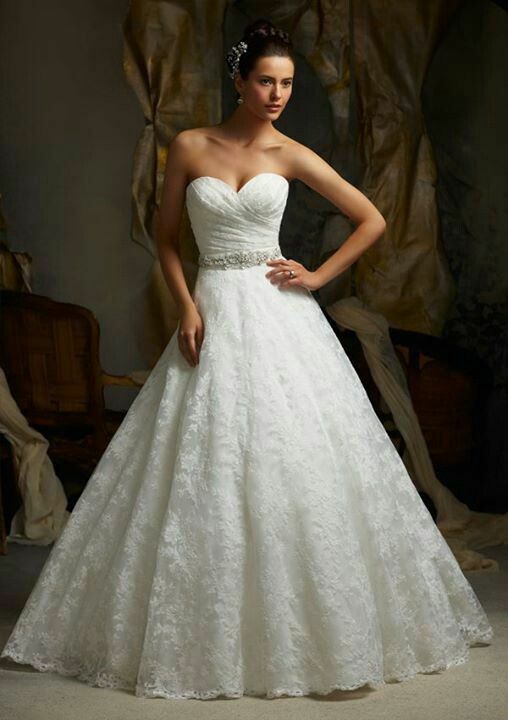 The empire wedding dress is also good for rectangular body shape. 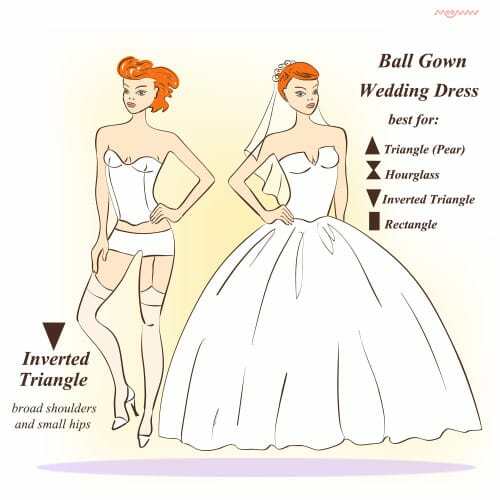 The inverted triangle body shape is defined by the tapering of your body down from your bustline. If your shoulders are broader as compared to your waistline and if you have smaller hips when compared to your broader shoulders then the inverted triangle is your body shape. 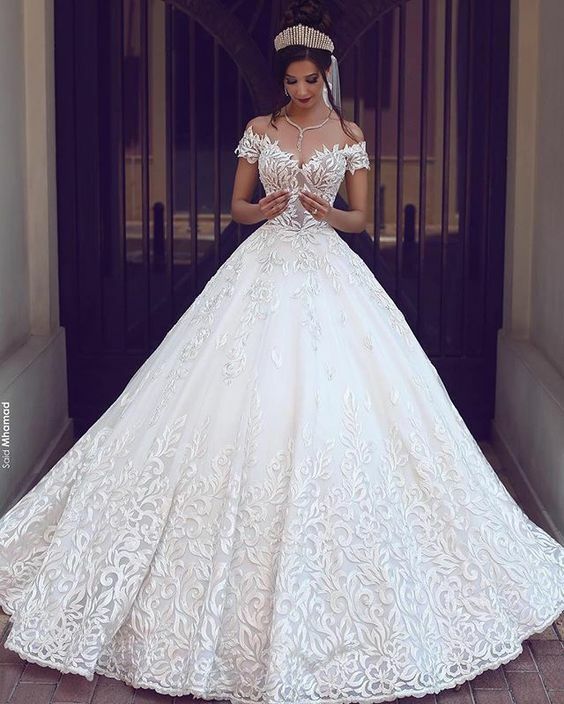 The ball gown wedding dress is the ideal wedding dress for your body type as it accentuates your bustline and then elegantly flows outwards from your waist. The rectangular body shape is defined by a figure which is slightly less curvaceous. 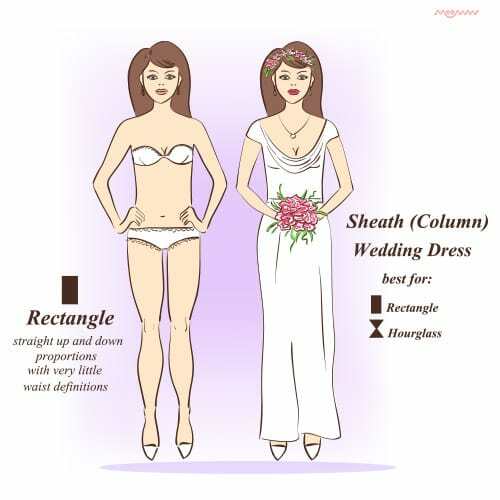 If your bustline and your hips are almost in proportion but in a straight proportion while your waist is not well-defined then your body shape is rectangular. The sheath wedding dress is the ideal for your body shape as it perfectly reflects your body shape and adds to your grace. 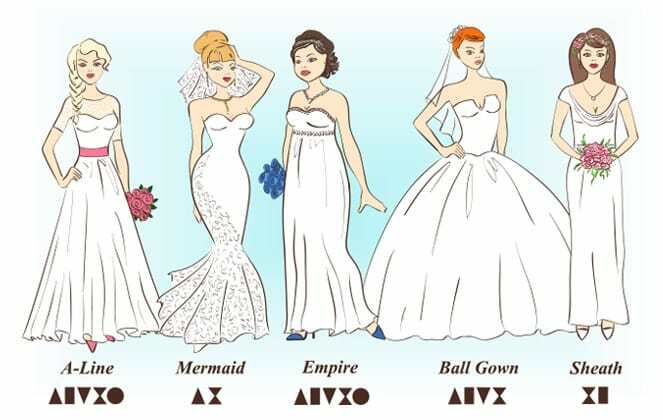 The wedding dresses, therefore, are something that you would cherish for life. So the time you hear the wedding bells and you know that you need to get that special dress done, then you know where to begin so that you look as graceful and elegant as the day you are about to cherish.